".Nick and I wanted to say a huge thank you to you Hilary, Jess and Vee. The wedding was everything we hoped for, relaxed, simple and beautiful. 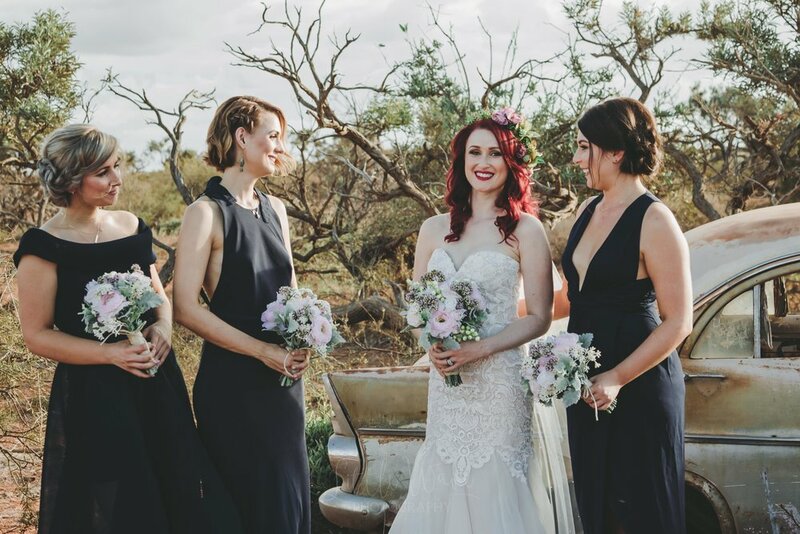 You are all such lovely people so it was easy to make us feel comfortable :) thank you again for everything"
Jess did such an amazing job helping us organise our small ceremony in about a month. We even changed our plan a little bit closer to the date and she worked with us to make sure everything was just as we wanted it. It was such a pleasure working with Jess and the way she decorated the room for our ceremony was even better than we could have imagined. Absolutely would recommend Jess for the perfect wedding!! 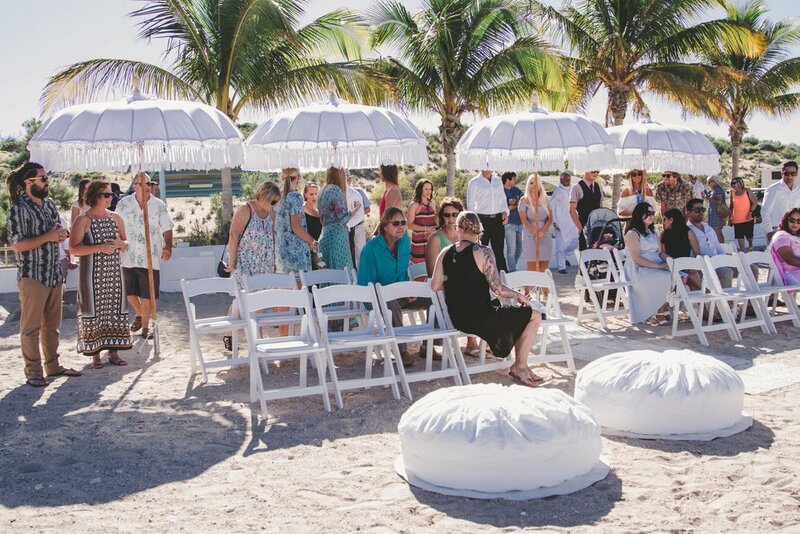 The perfect simple and elegant wedding in a great location. Hilary made the whole process from start to finish the most relaxed and stress free experience. It was everything that we wanted for our day. From Hilary doing the ceremony to styling by Jess and the photos by V we can not fault them. We can not thank Hilary and the team enough for making our special day an unforgettable experience. We couldn’t be happier with how our wedding turned out. Hilary and the team went to great lengths before, during and after our wedding to ensure we had such an amazing day and beautiful memories that will last a lifetime. Hilary made it so stress-free to organise our day from a distance and really went to great lengths to understand and plan just what we wanted for our special day. We cannot say thank you enough and were so blessed to have such a kind-hearted, professional and smiling celebrant for our ceremony. 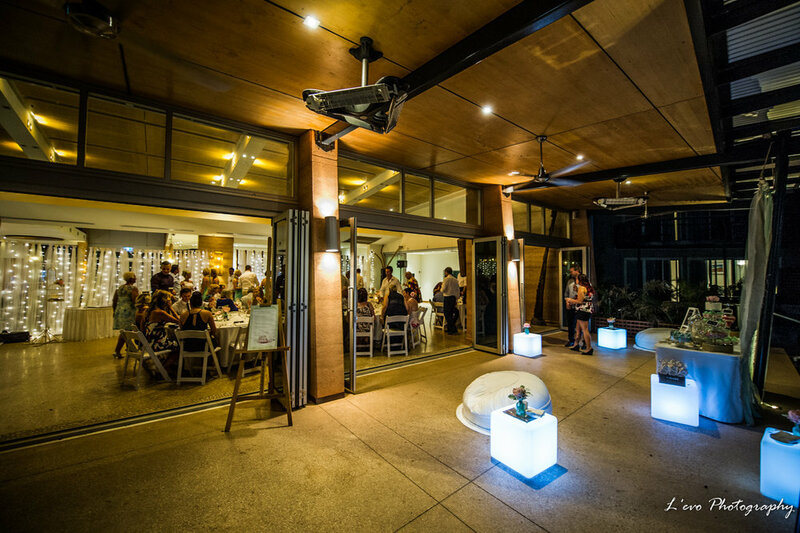 The relaxed stying, unobtrusive photography and videography, delicious platter, and of course the stunning sunset over the Exmouth Gulf just made for the most amazing setting. 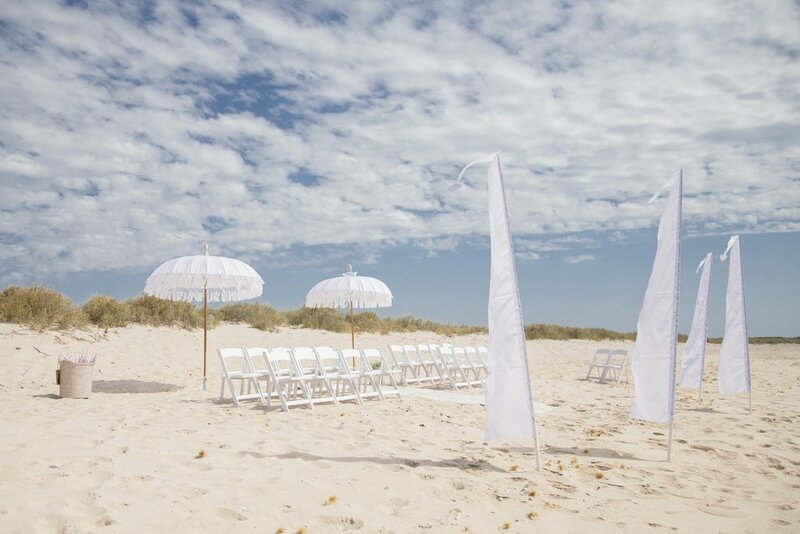 Thank you Elope to Ningaloo, we really don't know how our wedding could have been any better." We are missing Exmouth so much. We really felt at home, and that we met lovely people with whom we could be friends. Thank you so much to Jess for all her help leading up to my proposal to my girlfriend. Jess was incredibly helpful and kind speaking to me before the proposal. The memorable moments package that i bought was set up when i booked in, and was beautifully presented by Jess and the cheese platter and the champagne that came with it were delicious.I even had some trouble with the weather on the night that i was originally planning on booking it and Jess had no issues with changing it to another day providing excellent customer service and flexibility. We wish to express our gratitude to you and your team you helped in making our day perfect for us and our guests with your unique and excellent service and style. Thanks Jess for helping make our reception everything we wanted it to :) and going the extra mile to put me in touch with a florist and collect my bouquets and bring them to me on the day - the Candy Bar was such a hit!!!!! Exmouth will always be our special place, and you have played a big part in our special day, the setup was wonderful, and I can’t thank you enough for your patience and flexibility. You clearly love what you do, and we could feel it. Thank you to Salt and Sand for styling my Christmas Eve wedding last year. You transformed both spaces for the ceremony and reception into something more beautiful than I could ever dream of. Your creativity of being able to mix Christmas and a wedding was incredible and it was such a pleasure meeting you. We would highly recommend Jess and her team for any event. Where do I begin! My wedding was the most amazing day in my life, Jess you were such a breath of fresh air. You gave me the perfect wedding! Your team put together the most amazing ceremony and reception!! I'm sure people will be talking about it for a really long time. Your efforts did not go un recognised. Your support through the moment I was engaged and throwing a beautiful styled engagement party followed by the wedding ceremony then the reception! Jess you and your team are 10/10 Exmouth is lucky to have someone so talented! You put together a beautiful show. I love you you made every part of the planning so much easier!!! 100% recommend. I'm so glad I had you as my event stylist! Your so amazing at what you do. I'm so glad you were there to make it that much easier!!! 💕💕💕 thankyou so much for the most perfect wedding ! We wanted a say a big thank-you to you for making our wedding day so special! It is our great pleasure to write this testimonial. We are incredibly grateful for all the help Jess gave us in the lead up to our wedding, and on the day. 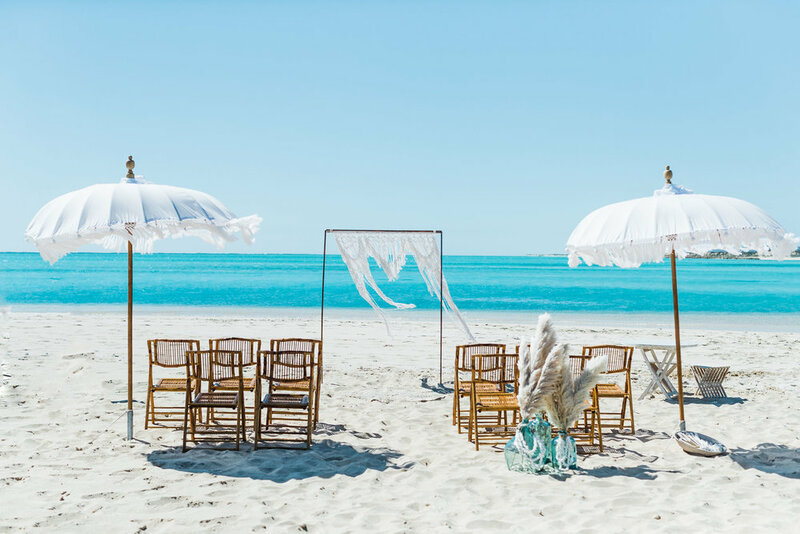 Jess created a stunning ceremony set-up for our elopement at Turquoise Bay. She is a true artist. 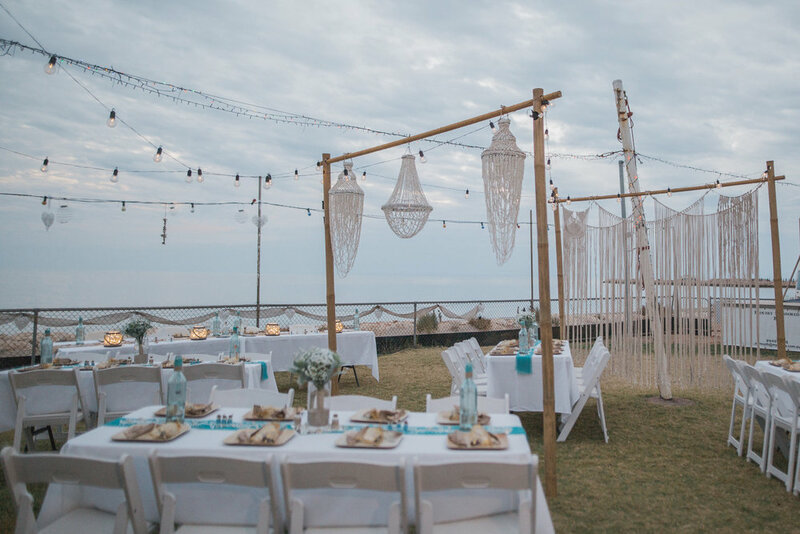 There were so many little styling touches that made us gush over the set-up; from the star fish on our bridal arch to the shells at our cake table and the antique cake knife. Our ceremony set-up was more glamorous and romantic than a magazine spread! We are also incredible thankful for all Jess’ help in planning our wedding. 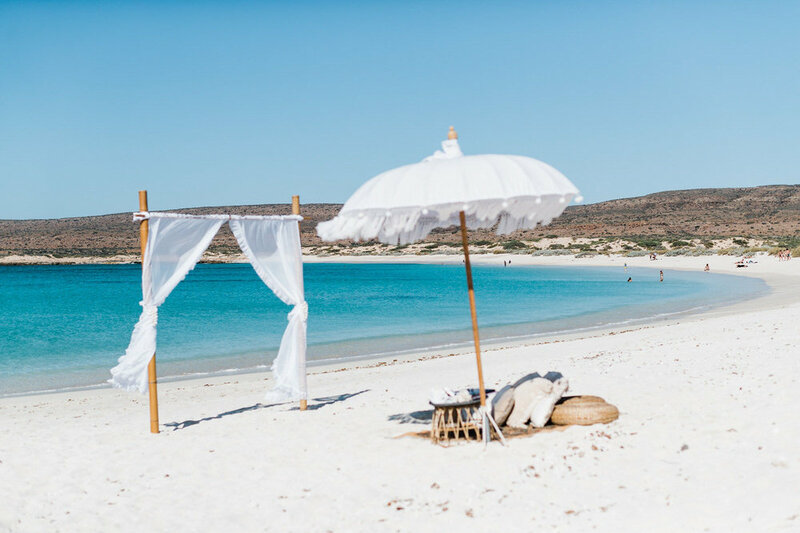 Jess knows everything worth knowing about having a wedding in Exmouth and was able to put us in touch with the best wedding suppliers. There were so many small details that Jess helped us with, such as picking up our cake and transporting it to the ceremony and then dropping it off at our hotel afterwards. She went above and beyond to help us, and it made the whole experience stress free and special. We are thrilled to recommend Jess to future bride and grooms. Thank-you again Jess for making our wedding day so memorable and beautiful! This lady is worth her weight in gold... Jess you made the back drop of turquoise bay even better than its natural beauty & the reception at the Novotel was gorgeous.. But where you go above and beyond is your knowledge, advice & friendship.. We could not of pull this off without you..
We are beyond grateful for Jess and her team at Salt & Sand. Jess constantly went above and beyond to make sure we had everything we wanted on our wedding day. Always a step ahead knowing what we needed and when. I would have been a bridezilla if I didn't have this amazing team there on my most special day! Thank you so much Salt & Sand for making every detail count!! If you're planning a wedding in Exmouth you MUST have Salt & Sand on your team!! Jess, I just wanted to say a huge thank you for everything you did for our big day. Not only did you execute my vision to perfection, but you made a potentially stressful day so much easier with your local knowledge, support and flexibly. Planning a destination wedding is by no means easy; then add in some heavy rains, flood warnings, closure of the national park, last minute venue changes and 80 guests to co-ordinate, knowing I had you on my side was such a relief and I don’t know what I would have done without you! I cannot recommend you highly enough, so thank you again! We can't thank Jess enough for everything she did for us to make our dream wedding come true! Everything was absolutely perfect and she has an eye for design and perfection, it was amazing! I just wanted to say thank you so much for making Neil and Serena’s wedding such a success. 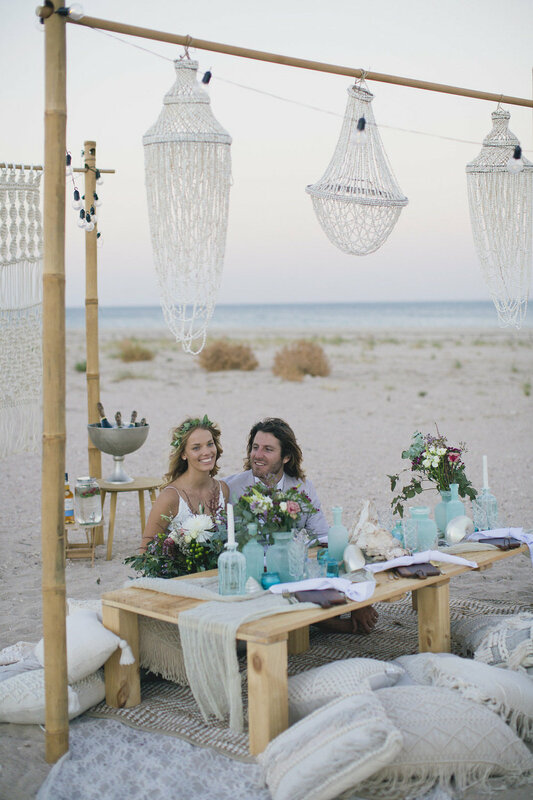 You have beautiful taste and we couldn’t have imagined a more beautiful set-up on the beach. It was like a movie star wedding. Your willingness to go above and beyond was very much appreciated. It was so nice to see your smiling face even when the work you were doing was hot and labour intensive. It is a credit to you and your team. Thank you again Jess for making it all so easy for us. Omg you guys were seriously amazing. Everything was beautiful. I cannot thank you all enough. We had the most magical day. 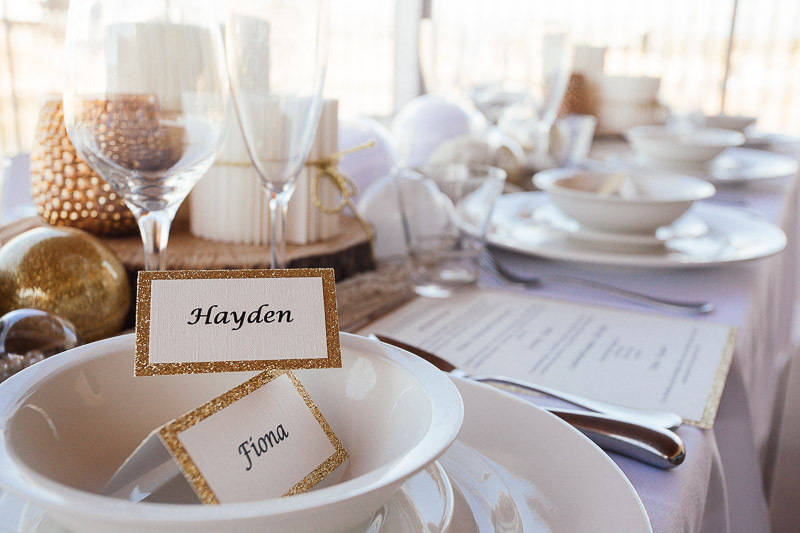 Jess, thanks so much for helping to style our ceremony and reception! It is clear that you have a talent for design and an eye for detail. just look at that candy bar!! You were able to help us out with everything we asked for and more, plus a few last minute requests!! Our wedding theme was perfectly decorated and we couldn't have asked for a more beautiful backdrop to help us celebrate our day. Thanks again to you and your team for all your hard work!! I would like to say an enormous thank you to Jess! It was an absolute pleasure working with Jess to establish our perfect day, she had so many fabulous suggestions and ideas which resulted in literally the perfect day. It's been over a month since we were married on 20th September 2014 and our guests are still talking about it! The attention to detail for both the Ceremony and Reception was exquisite! 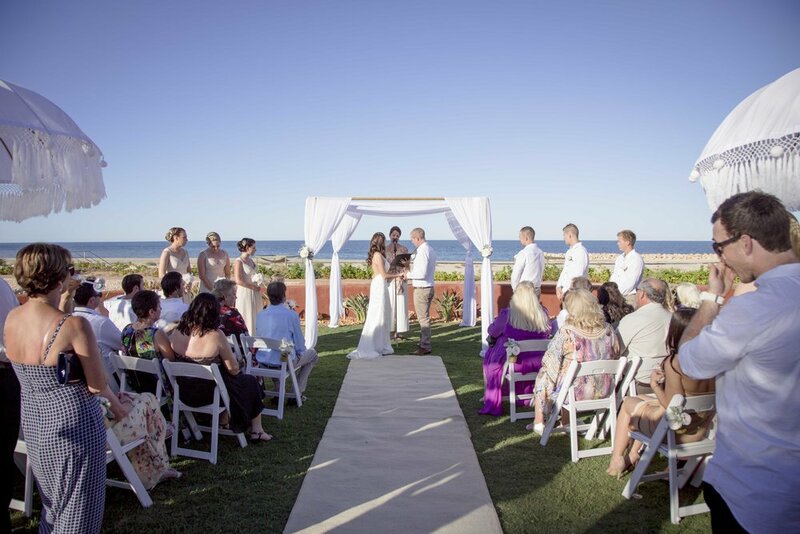 We married on Sunrise beach out the front of the Novotel and had the reception at Lily Pond Terrace. Jess took control on the day of the wedding which allowed us to relax and soak up every moment. If you are planning a wedding, Jess is your woman, we 100% recommend her! Thanks Jess and Salt and Sand Team, you're amazing! x x x p.s. I want to do it again! Thank you so much Jess and team for helping to create such an amazing day for us! We couldn't have done it without you!! 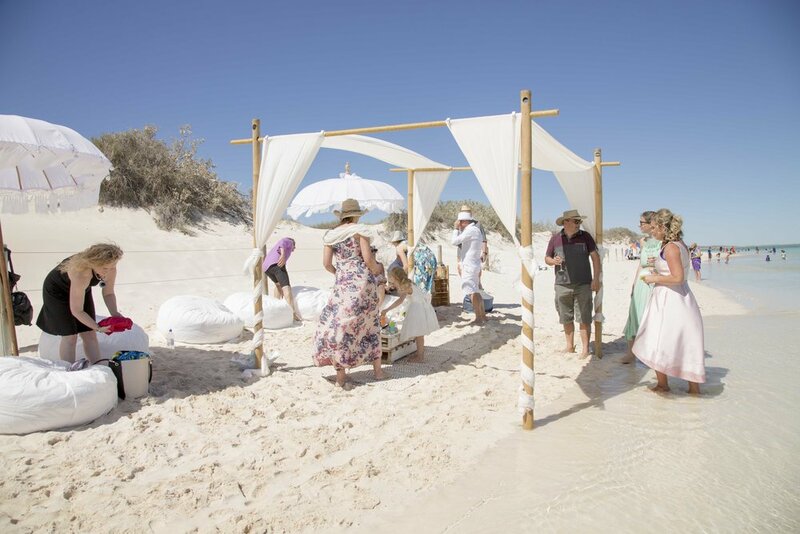 The ceremony set-up at the beach was absolutely beautiful, and the romantic space you created at Whalers Restaurant for our reception looked amazing.You have looked after us so well; from when we changed our wedding date with a day's notice due to the cyclone, our venue change, even organising our bouquets for us. Nothing was ever too hard, you made it easy for us! Jess was INCREDIBLE!! I loved everything it was perfect! 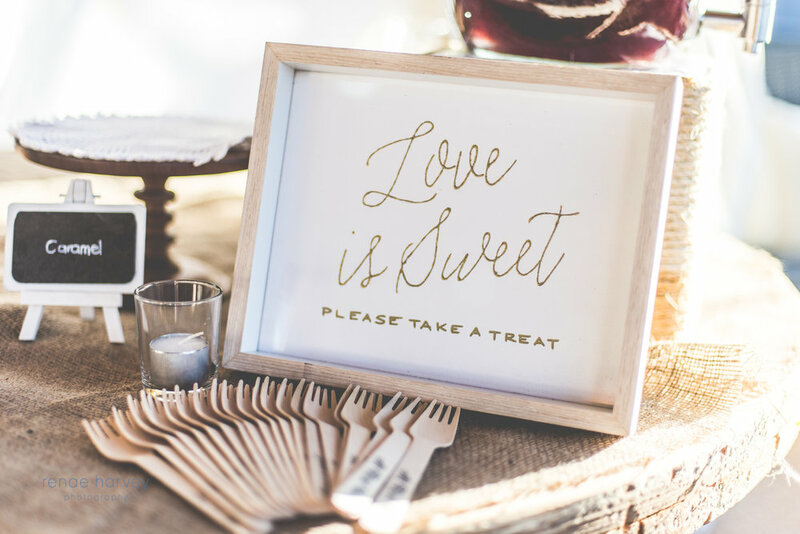 super easy to work with and took the stress out of planning a wedding! I recommend her highly!! Thank you SO much i couldn't be happier!! Words can't describe how amazing our beautiful ceremony and reception set up were, Jess, Rob and I are both so grateful for all you did to make our day as special as it was! You made it all look so incredible! You have such a beautiful range of items to choose from that it we knew it was going to look good - we just didn't realise it was going to look so spectacular. Our family and friends travelled a long way for our wedding and it was nice that we were able to have something so special. So thank you for making it all so easy for us! Any Exmouth brides who don't come straight to you are crazy! Here are some of our professional pics from the day. Thanks again, Jess, you're a star! We thank Salt & Sand so much for supporting us in creating this most beautiful moment we will be remembering our whole life.